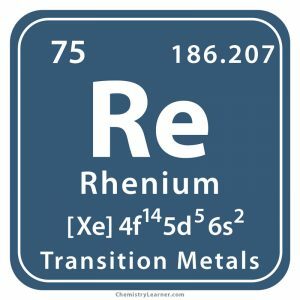 A rare earth metal, rhenium (pronounced as REE-nee-em) belongs to the family of transition metals denoted by the chemical symbol Re . It has 33 isotopes with known half-lives, their mass numbers ranging from 160 to 192. 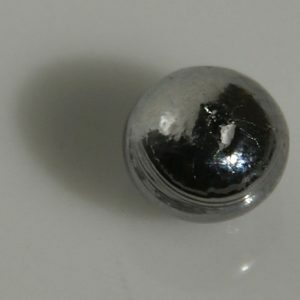 Naturally occurring rhenium is a mixture of a stable isotope, Rhenium-185 and a radioactive isotope, Rhenium-187 [2, 9]. It shows moderate reactivity with various compounds, except water. 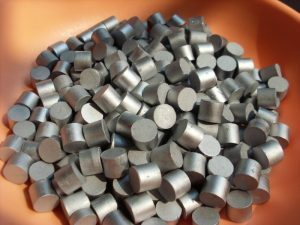 Though its usual commercial form is powder, foils, sheets, pellets, bars, and rods are also produced to be used for different applications. Chile has the world’s largest Rhenium reserve followed by Peru, USA, and Kazakhstan . 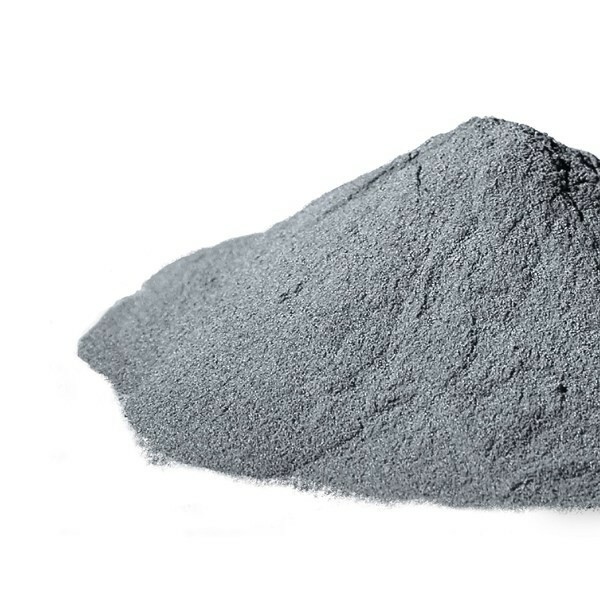 Re, for commercial purposes, is extracted from molybdenum roaster-flue dust found in copper-sulfide ores. It does not exist in nature freely or in the form of compounds along with any mineral ore deposits . 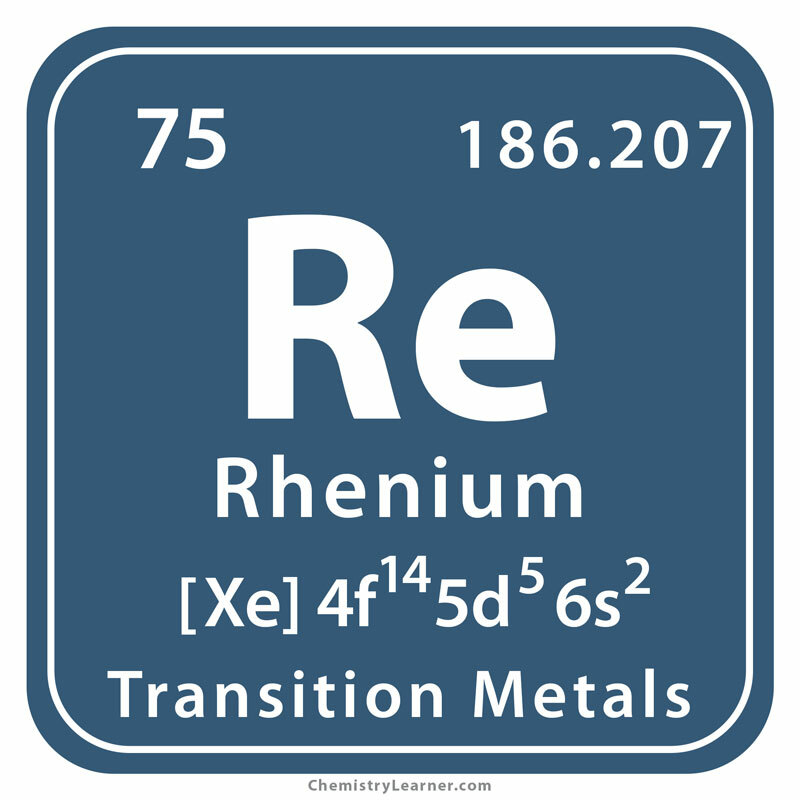 The element derives its name from the Latin word for the river Rhine, Rhenus . In 1925, Walter Noddack, Ida Tacke, and Otto Berg discovered the element in Berlin . The Russian Chemist, Dmitri Mendeleev who created the periodic table in 1869, anticipated the existence of other elements that were not yet discovered after noticing gaps in the table. He predicted two elements having similar properties to manganese and named them eka-manganese and dvi-manganese, respectively. 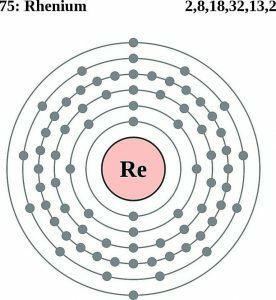 In 1913, the existence of rhenium was once again predicted by the English physicist Henry Moseley who discovered a new method of arranging elements in the periodic table by their atomic number instead of atomic weight as done before. 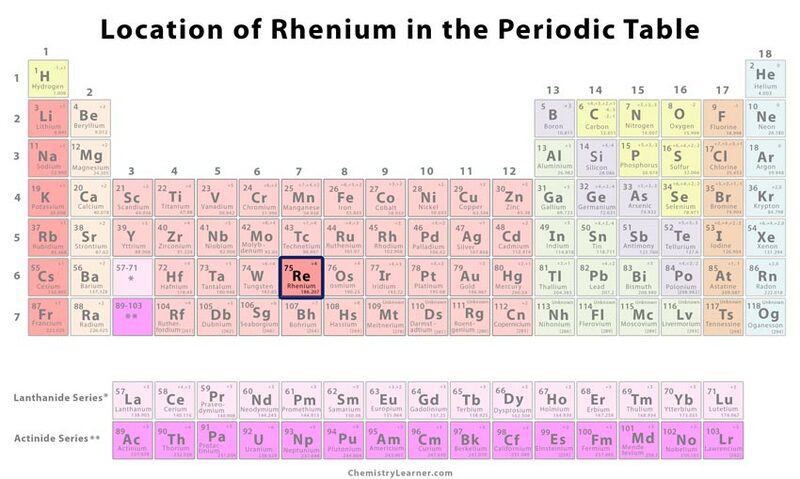 However, it resulted in gaps in the table due to the absence of elements still undiscovered, rhenium being one of them. 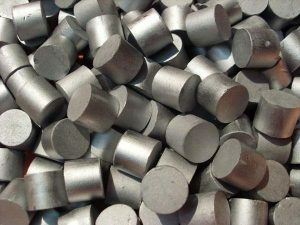 It was only in 1925 when Noddack, Tacke, and Berg discovered rhenium in platinum ores and columbite along with another element called technetium through X-ray analysis. 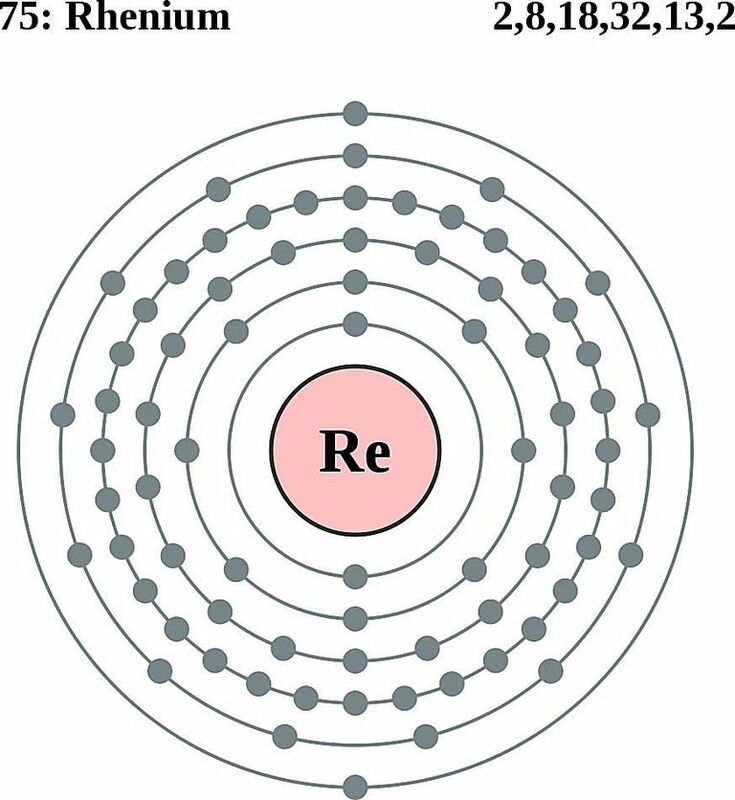 Despite several disagreements and arguments, the existence of Re was finally confirmed and published in the periodic table . 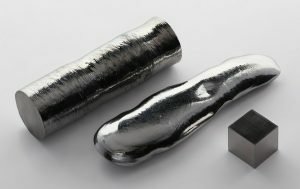 The element is added to tungsten and molybdenum-based alloys used in oven filaments and tubes of X-ray machines to increase ductility at higher temperatures [1, 5]. 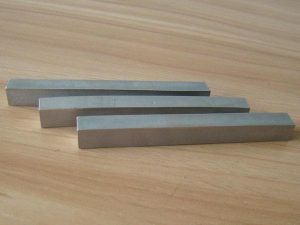 It is also combined with nickel alloys for making single-crystal superalloys used for manufacturing turbine blades [1, 7]. It is used in electrical contact materials for its good wear resistance and ability to withstand arc corrosion . As rhenium is resistant to sulfur, nitrogen, and phosphorous poisoning, it is used as a catalyst in the hydrogenation of fine chemicals, disproportionation of alkenes, and also in the production of unleaded, high-octane gasoline when combined with platinum [2, 5]. It is used in electric flash lamps required in photography, filaments of mass spectrometers, and ion gauges . 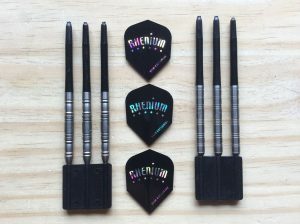 Rhenium-tungsten wire is used in furnace parts and thermocouples for measuring temperature up to 2,200°C, . It is also required for welding applications, electronics, and making wire mesh grids in aerospace equipment . 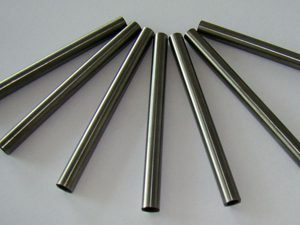 The element is ideal for use in rocket motors because of its high-temperature resistance ability. Another occasional application is in the plating of jewelry . Accidental contact with skin or eye may cause severe burns and irritation. If inhaled or ingested, it may lead to irritation of the digestive and respiratory tract . Rhenium has the highest melting point after tungsten and carbon . Rhenium-molybdenum alloys are believed to exhibit superconductive properties at 10 K .
Rhenium-188, a high energy beta-emitting radioisotope, obtained from tungsten-188/rhenium-188 (W-188/Re-188) generator might be effective in cancer therapy and nuclear medicine . The metal costs somewhere between $2500 and $2800 per kilogram ($1260 and $1300 per ounce).